For weekly holidays or short breaks beginning on Fridays (Our prefered changeover day) the price for the following Saturday applies. Minimum stay is 3 nights, high season 7 nights. We can accept bookings payment by BACS (20% deposit, balance six weeks before arrival). There is a £25 charge per dog (bring your own dog bedding please). 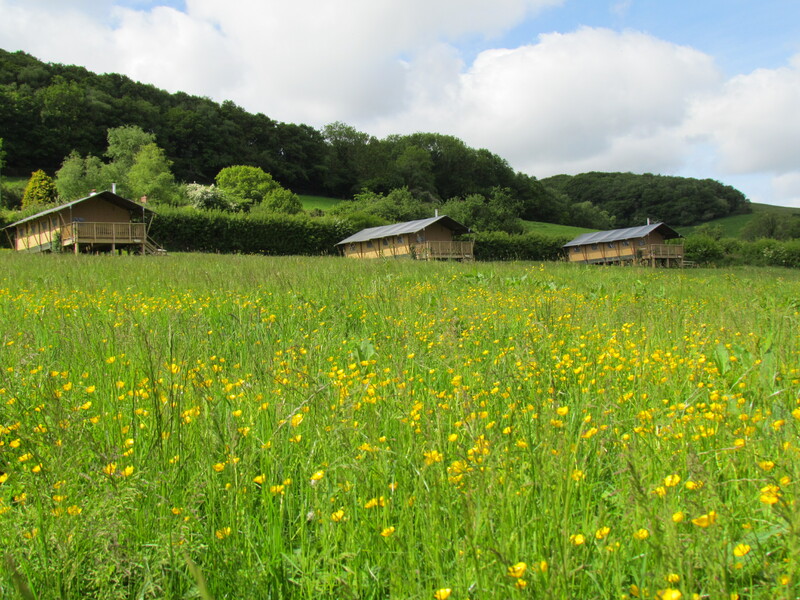 Western Meadows Glamping is the trading name of Westcountry Glamping Limited. Please contact us for availability and price, short breaks are discounted. (We will hold your reservation for 24 hrs before releasing the dates again if a deposit is not received). We require holiday insurance, please confirm when booking. This is to protect you and your party against any major damage or losses should they be incurred. We do have business insurance for accidents and liability. By booking with us you and your party agree to the Booking Conditions. Out of courtesy to our other guests the tents and veranda areas are strictly no smoking. 20 % discount for parties of 2 + cot or less (conditions apply) see bottom of table. 20% off between 27 Apr and 18 May for parties of 2 + cot or less. 20% off between 08 Jun and 20 Jul for parties of 2 + cot or less. 20% off between 31 Aug and 12 Oct for parties of 2 + cot or less.